When William K. Sullivan Elementary School was opened, it was housed in a handsome brick building that was constructed in 1902. Sullivan Elementary was located at 8255 South Houston. It was needed to educate the children of immigrant steel workers who were drawn to the South Chicago neighborhood by the South Works of the United States Steel Corporation. Many of New Sullivan’s current students have parents and grandparents who graduated from Sullivan Elementary. 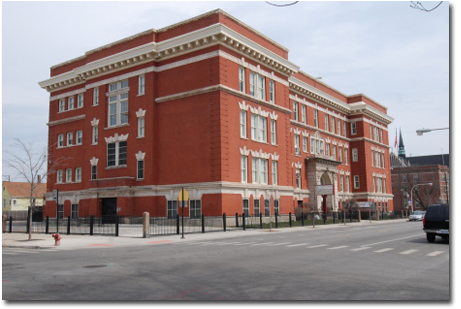 The school was originally named for William K. Sullivan (1843—1899), an Irish immigrant who became an Illinois Legislator, Managing Editor of the Chicago Evening Journal, and President of the Chicago Board of Education. After one hundred years of being located at 8255 South Houston, Sullivan Elementary School was relocated to a new building at 8331 South Mackinaw Avenue designed by architects Fox & Fox. The Board of Education retained the historic, original structure, converting it into a public charter high school, Epic High School. 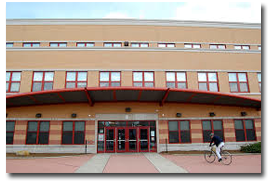 The new building opened in the winter of 2012 and was renamed William K. New Sullivan Elementary School. New Sullivan Elementary School currently serves over 500 regular and special needs students from throughout the South Chicago Community.